If you play golf in Australia and you haven’t come to terms with the new handicapping system yet then you are probably not alone. So news that Golf Australia intends to alter the ‘handicap anchor’ from four strokes to five strokes might not concern you at all. On the other hand, there are likely to be just as many who follow their handicaps religiously on the internet and it may give them a huge kick to learn that from May 14, 2013 they might even get that extra shot back they have been craving – if they’re in a form slump. According to Golf Australia’s figures, handicaps in this country are subject to seasonal changes, resulting in most people’s handicaps going up in the winter months and down in the summer months. An ‘Anchor Regulation Review’ recently re-assessed the primary problem that the Anchor regulation was designed to solve when it was introduced in 2011. Following careful consideration, the review concluded that continued inclusion in the handicap system of protection against this problem remained imperative. That problem being that one of the gaps identified in the 20-round averaging system introduced into Australia in April, 2010 was that handicaps were susceptible to rapid extreme outward movement due to runs of bad form. Essentially a player would be given an entirely new handicap every 20 rounds as there was nothing to tie a handicap to previous performance or underlying ability. This was not considered to be solely a high-marker issue as there were many reports of five and six-markers sliding out to handicaps of 12-13 in short spaces of time and then being embarrassed to return to form and record scores where they were playing to a handicaps of three or four and returning scores of 45 stableford points and the like. While there was never really a concern with golfers who played infrequently – it was the extreme movement in short spaces of time of handicaps of frequent players that was causing much concern in clubs. 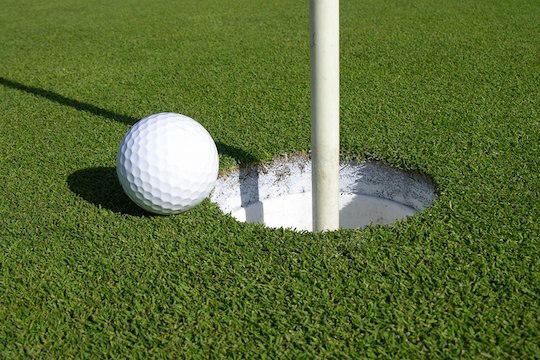 Golf Australia is confident the implementation of the remaining components of their complete new GA Handicap System in late 2013 will significantly improve the efficiency of the Anchor. Those remaining components (including a daily scratch rating), are expected to fill the gaps that are still inherent in our still-new handicapping system. Confused? Don’t worry the computer will sort it all out when it shuts down briefly in May. And you may come out of it with a new handicap. The new 5-stroke Anchor Regulation will take ef- fect on Tuesday 14 May 2013. In order for the changes to be made GOLF Link will be off-line from 10.00pm AEST on Monday 13 May until 5.00am AEST on Tuesday 14 May. In the period following GOLF Link coming back on-line, it is anticipated that connection to the system will be at normal speeds. GOLF Link will re-calculate the handicaps of all Anchored players during the hours the system is off-line. In the week prior to 13 May, Golf Australia will email a reminder to all clubs about the GOLF Link downtime.